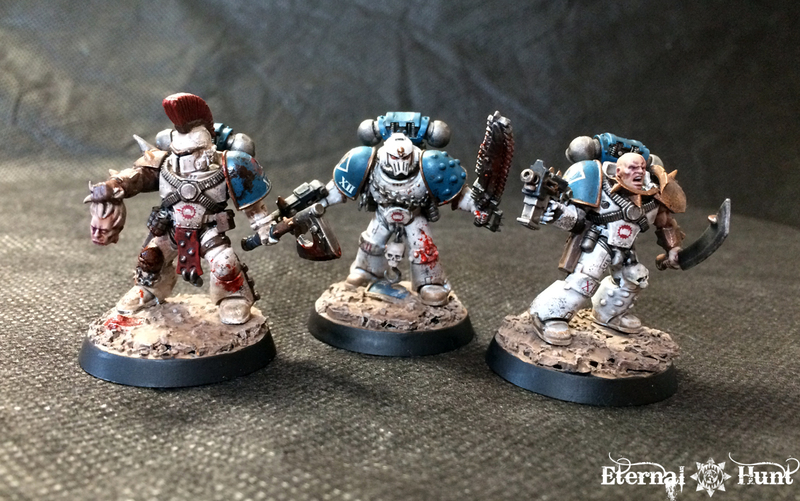 Having already teased some additional painted 30k World Eaters in my last post, I think it’s only proper to take a closer look at these models today. 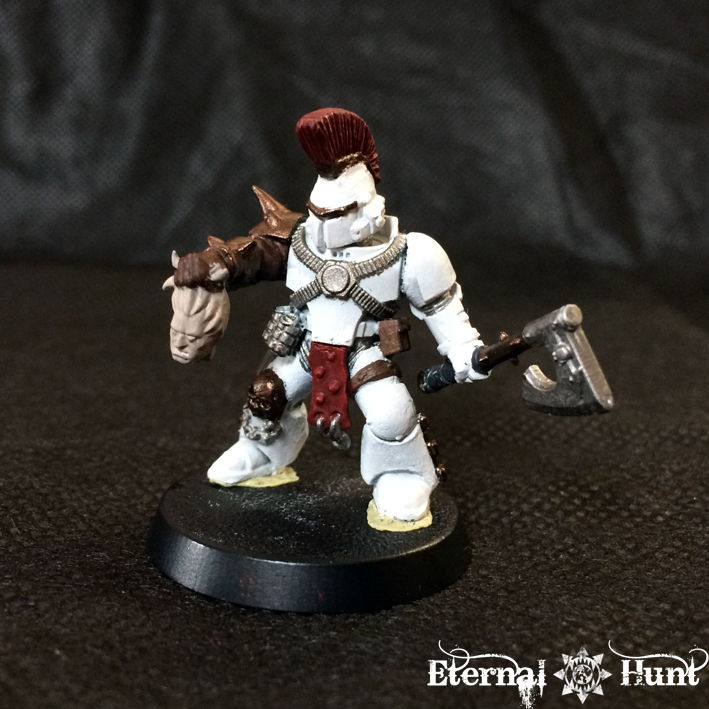 Some of you may remember that my first 30k test model ended up quite alright, but also that I didn’t find the process of painting white armour all that enjoyable. 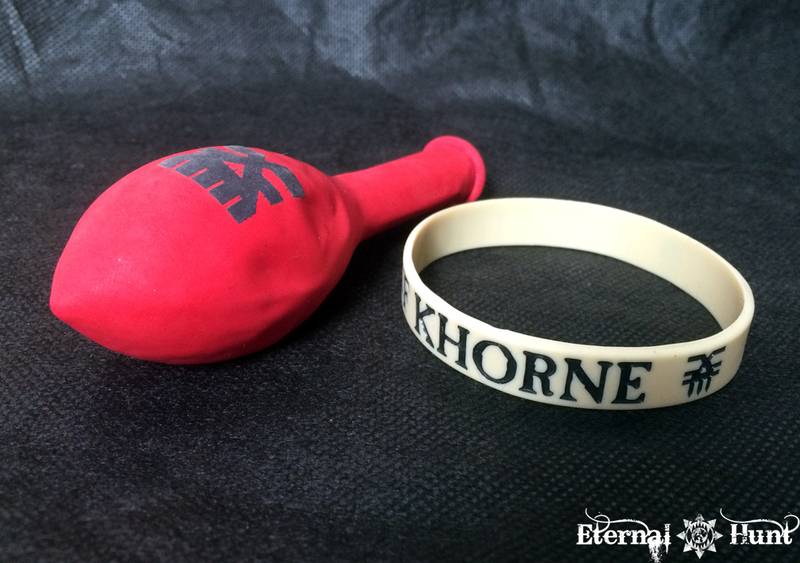 “To the prim and proper XIIIth or the bleeding heart XVIIIth, the thought of Astartes killing Astartes is anathema. But we have been doing this for decades, night after night, in the cages and on the hot dust. 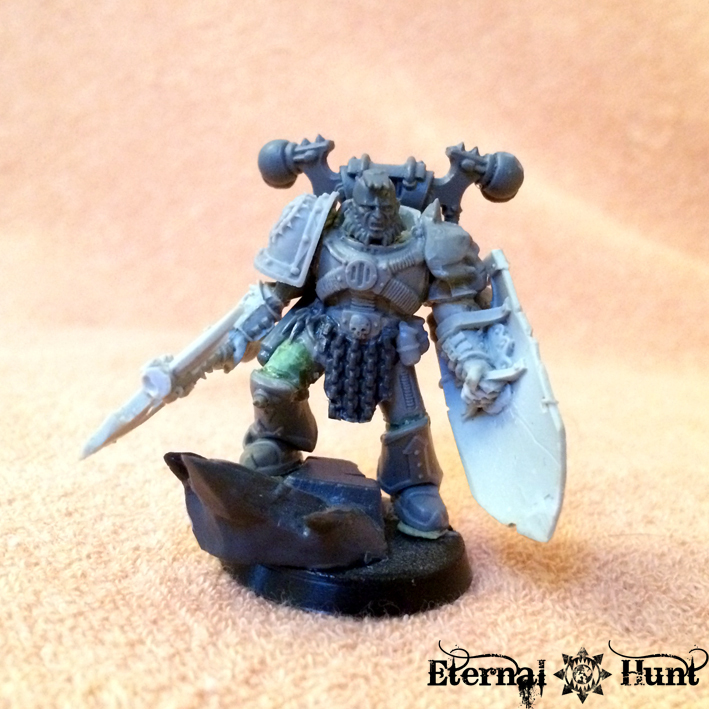 Regarding the parts I chose for the model, I spliced in some CSM arms and a Khorne berzerker torso. 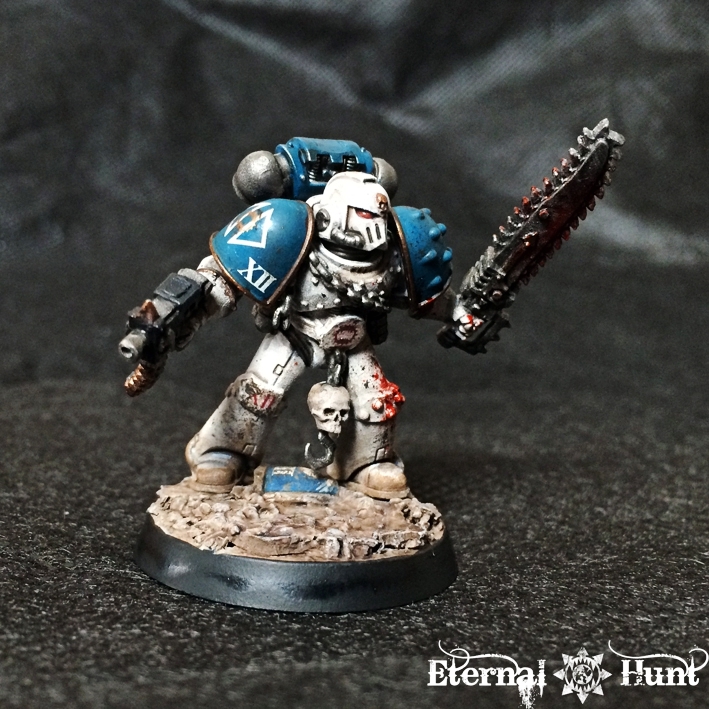 While the finished model seems like a fairly standard marine at first glance, it retains a certain sense of brutality that works well for the World Eaters, I think. Using CSM arms on the Betrayal at Calth plastics also allows for slightly more interesting poses. 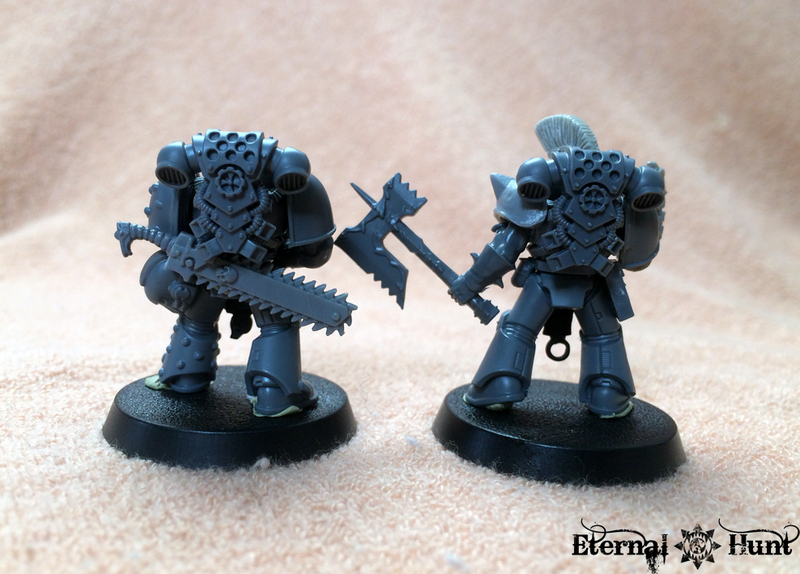 And the spiked and barbed CSM weapons are an excellent fit for World Eaters weaponry, without looking too chaotic — in fact, maybe this is Sarum pattern equipment, provided by the Forgeworld of the same name that the World Eaters liberated during the latter stages of the Great Crusade…? As for painting the model, the main change to my original recipe was to use GW Corax White spraypaint for the white undercoat instead of having to paint it all on by brush. This really cut down on the time it took me to complete the model, plus it also reduced the number of somewhat iffy areas that needed further touchups. What’s more, having an easier time with the basic paintjob gave me the liberty to experiment with some additional effects. And I included the pauldron of a fallen Armaturan Evocatus on the model’s base, trampled underfoot during the battle, maybe? 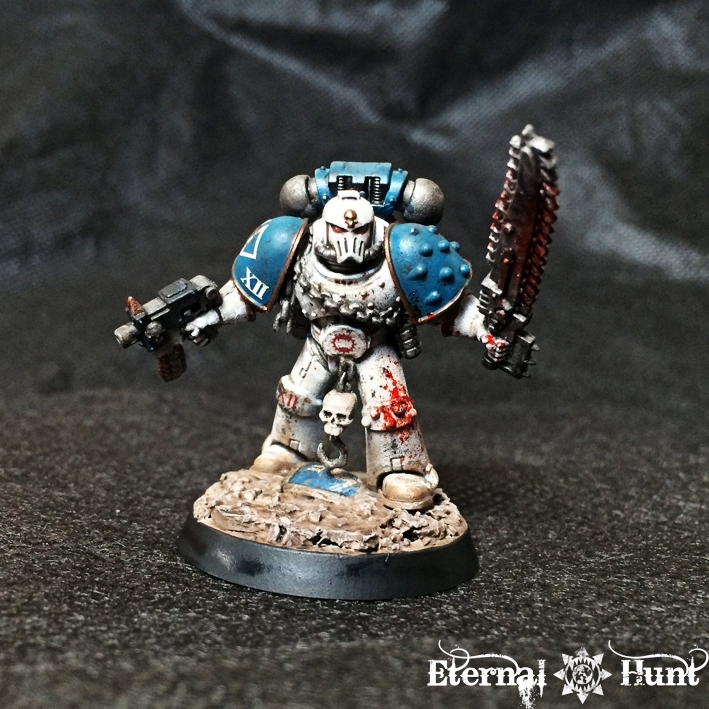 All in all, I am really rather happy with the World Eaters recipe I have come up with! It’s fairly effective and pretty fast to pull off, especially if, like me, you don’t like having to paint multiple thin layers of a base colour but enjoy the aspects of weathering and adding “special effects” far more. 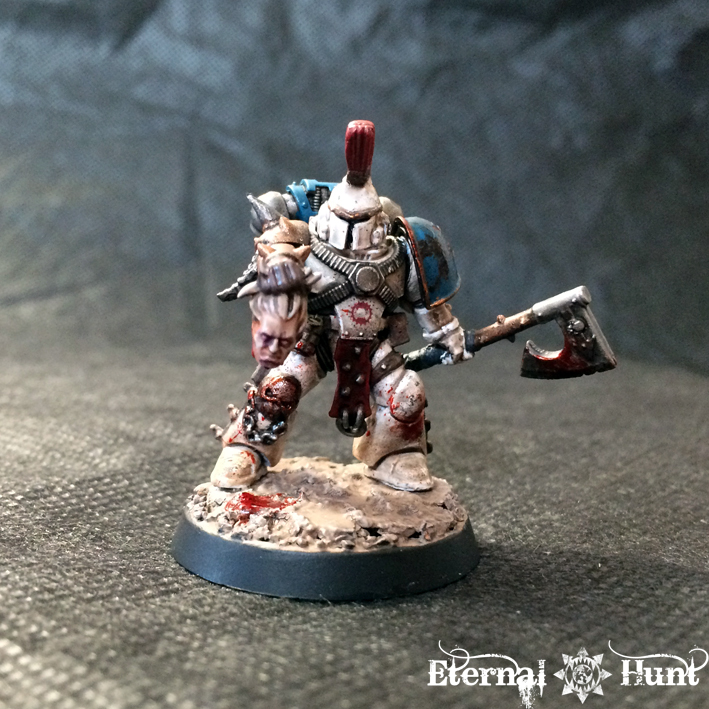 In fact, allow me to share my recipe — maybe those of you thinking about a 30k World Eaters project of their own will find this helpful. a black and brown wash of your choice. I use Army Painter Strong Tone and Dark Tone, respectively, but GW Agrax Earthshade and GW Nuln Oil should also do the job. a suitable dark brown/dark grey/green-brown colour for the sponge weathering. I use the OOP GW Charadon Granite (which is wonderful). 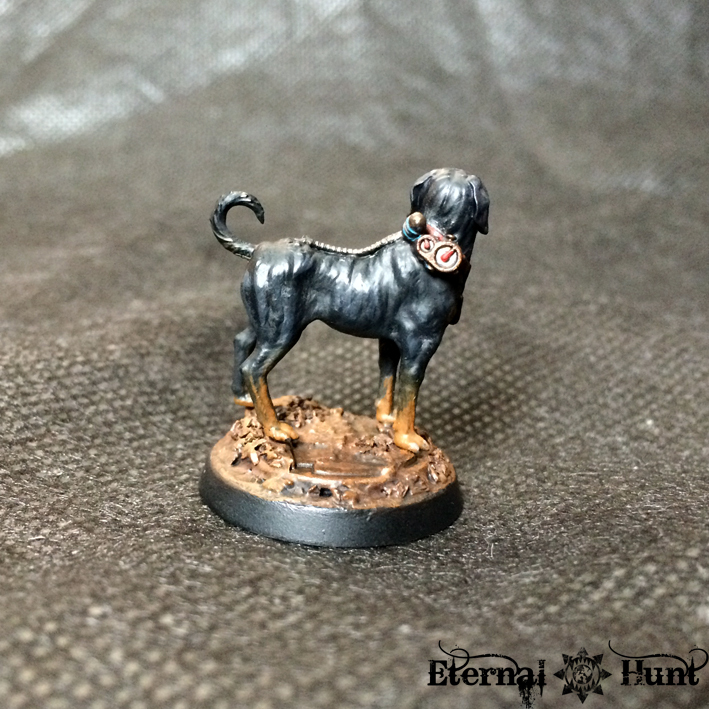 However, any very dark grey/black/dark brown should work similarly well. Oh, and one more piece of advice: You’ll make your life quite a bit easier if you leave the backpack and shoulder pads off and paint them separately. In fact, I even use a different undercoat for them (Chaos Black for the pauldrons and Chaos Black followed by Leadbelcher for the backpack). You can also leave off the head in order to be able to get into all the little nooks and crannies. However, all the following steps apply to both the head and body of the model. Step 2: After everything has dried, check to see whether there are any areas that remain unpainted. If so, this is the moment to use some slightly diluted white to clean them up a bit. As soon as that is finished, you should give the entire model a drybrushing with the same white, in order to build up a bit of contrast on the raised parts of the armour. It goes without saying that this will be more effective if you went for a slightly thinner undercoat beforehand. One important thing, though: This is also the moment where you apply all the decals you want to go onto the armour, as we’ll need to weather them along with the armour to make them look realistic. 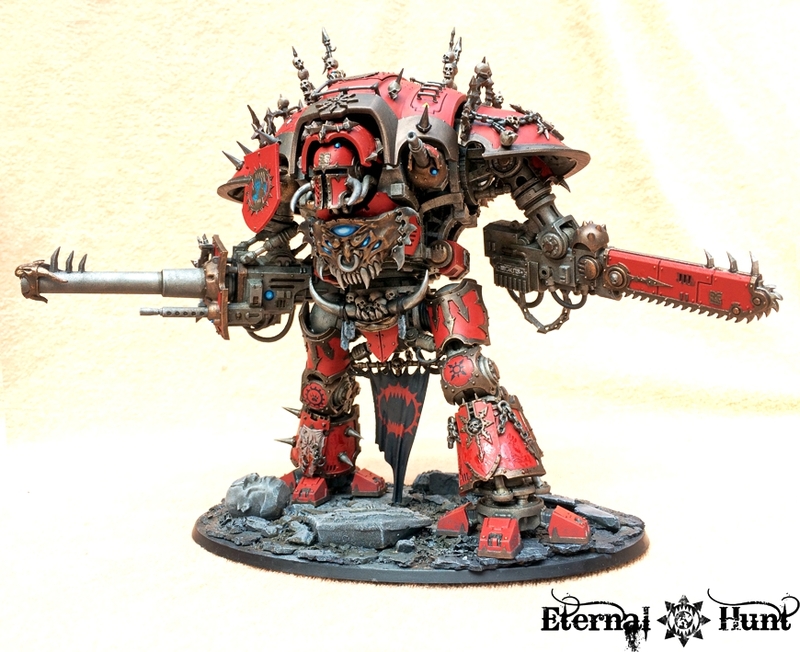 So if you want to use any of those red World Eaters decals from Forgeworld, apply them now! After they are well dry, add a coat of matt varnish on top to seal them , just for hood measure. 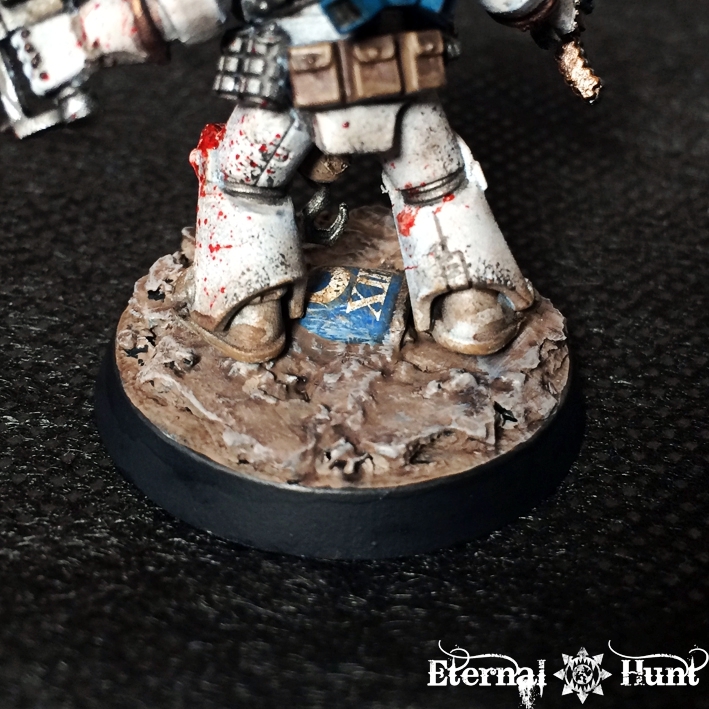 This is also the last opportunity to clean up the white: Any errors that you don’t correct now will have to be covered up by the weathering later, so take another look at the areas that might require a bit of cleanup now! The picture is rather misleading in that it was taken late in the evening, in less than ideal lighting. I just wanted to keep painting instead of waiting for better light, so the photo isn’t as good as it should be. The white is just as bright as the white in the following picture, if not brighter, it just doesn’t appear that way. Step 5: We’re almost there. Now give the model some time to dry (!) before you tackle the next step. When everything is nice and dry, you put some Charadon Granite (or your alternate dark brown/dark grey) onto your palette and use a small piece of blister sponge to dip into it. Then you should sponge off most of the colour back onto the palette or onto a piece of kitchen towel. 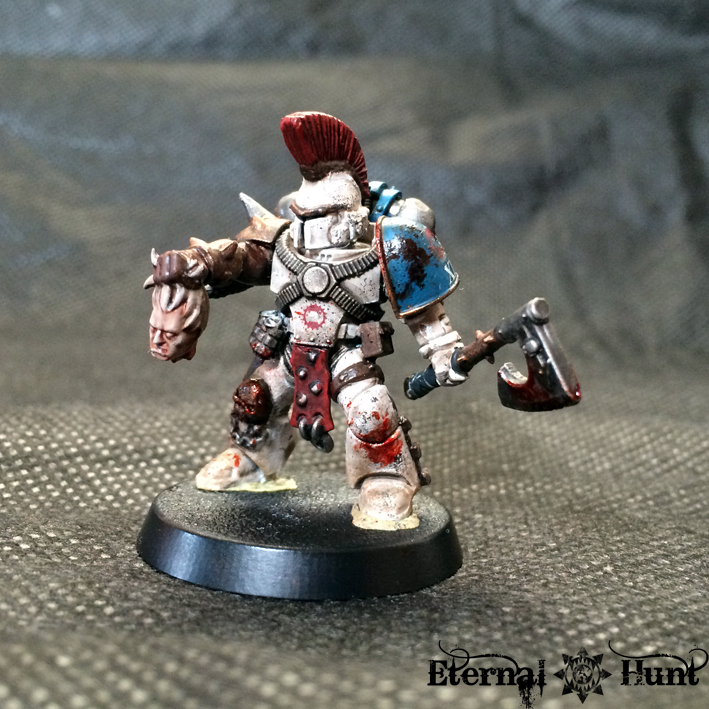 When there’s just a bit of colour left, use the sponge to carefully add weathering to the surfaces of the armour. This is not an exact science, so you need to experiment a bit. You can also build up the effect in several layers. The sponge weathering will end up looking very organic, which is great, plus it’s really useful for covering up errors and ugly areas. 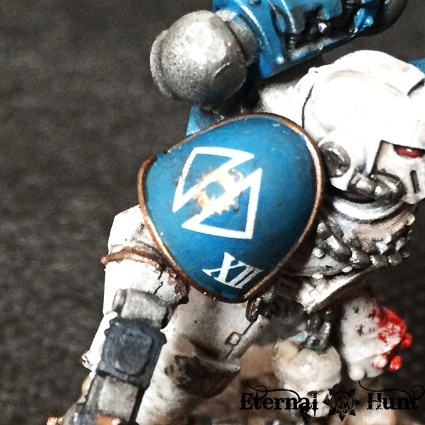 Just keep in mind that you will also have to use the effect on the blue parts of the armour (i.e. the shoulder pads and backpack), so they won’t stick out later by being too clean. As you can see, the shoulder pad and backpack are already back in place. You can do this as soon as you no longer need access to every part of the armour. I also added a selective edge highlight to some raised parts of the armour, such as the helmet’s faceplate, the elbows, the armour plate covering the model’s stomach etc. Oh, and I brushed some Steel Legion Drab over the model’s feet and greaves, in order to create a visual connection with the base. Of course you’ll have to adjust this part, depending on the colour scheme you have chosen for your basing. 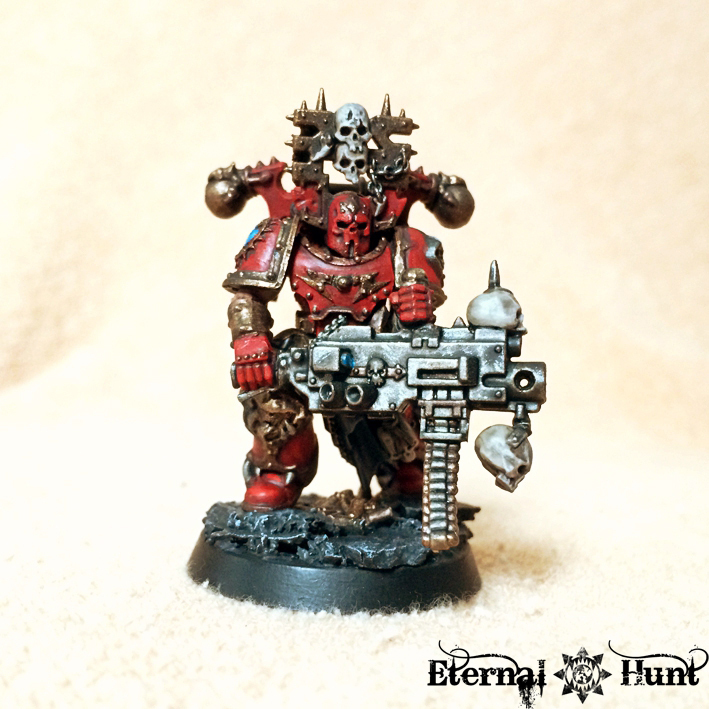 As for the blood, like I said above, I use Tamiya Clear Red (although I keep hearing good things about GW Blood for the Blood God as well, and it may be easier to source), flicking it at the armour with the help of a toothbrush and then adding some of the paint to select areas. When touching up the gore, you should mix in some brown and/or black wash, so you’ll get slightly different hues and saturations that will make the blood look more believable. 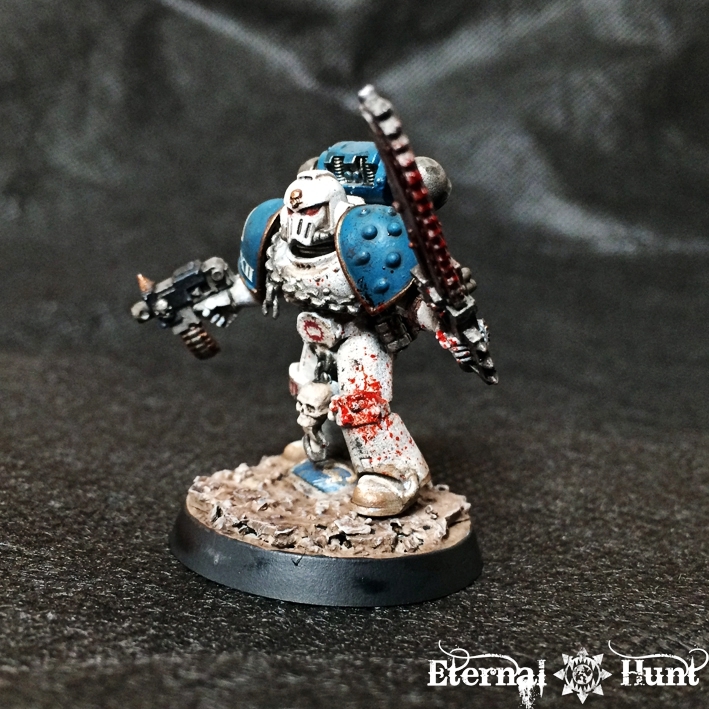 Oh, and let me speak about the blue parts as well: When I painted my first 30k World Eater, I didn’t have any suitable blue, so I just used Vallejo Magic Blue with a drop of black, mostly as a stopgap solution. 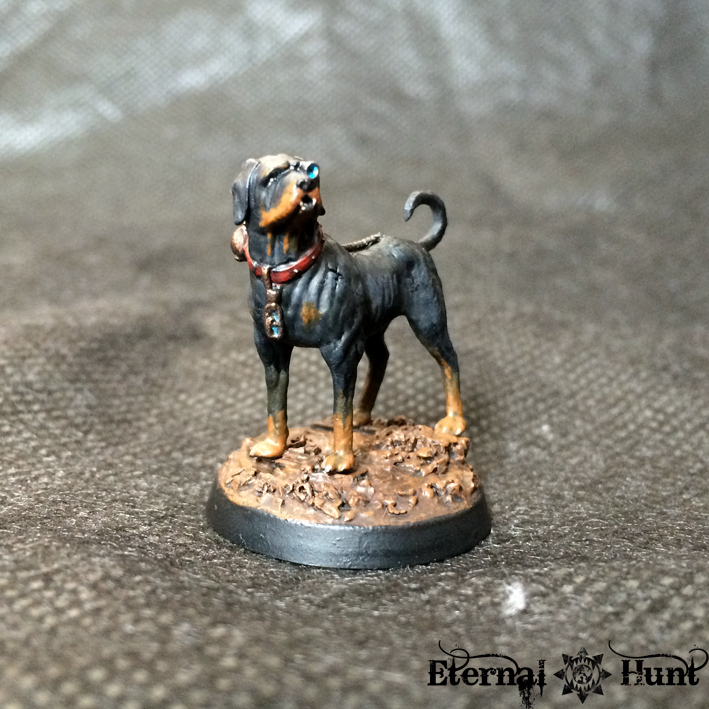 However, I really like the colour that resulted from this, so I’ve decided to keep the recipe for the rest of my models. “You think we take our opponents’ skulls to mock them, Evocatus? Hah, quite the opposite! 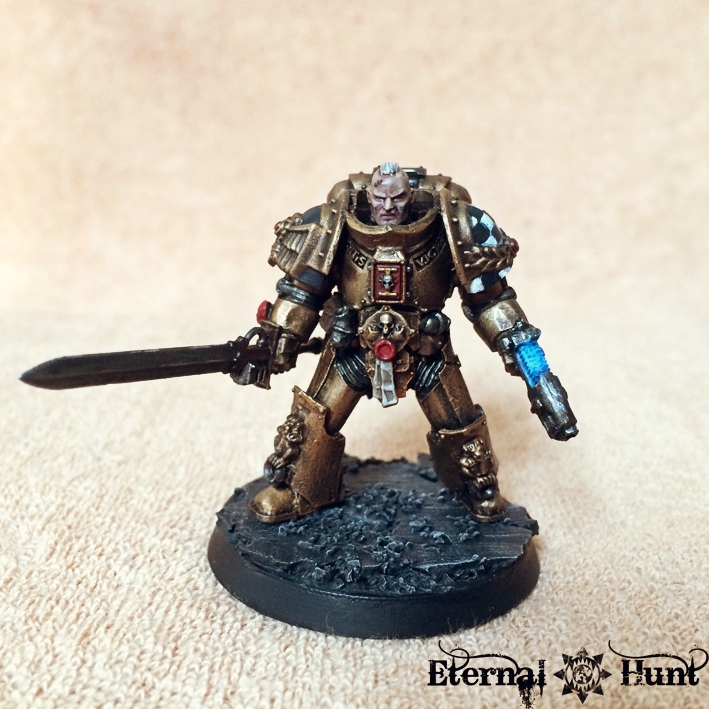 Legionary Molax of the Triarii, XII Legion Astartes. Seconded to the 4th assault company following the Battle of Armatura. Regarding the conversion itself, I wanted to experiment with a more gladiatorial look, which I believe turned out pretty convincing. I also spliced in some actual Khorne Berzerker parts to create the kind of “mongrel” plate that should have been a pretty regular occurence in the XII legion, considering its rather heads-on approach to warfare and the amount of losses taken during the outbreak of the Heresy and the subsequent Shadow War. 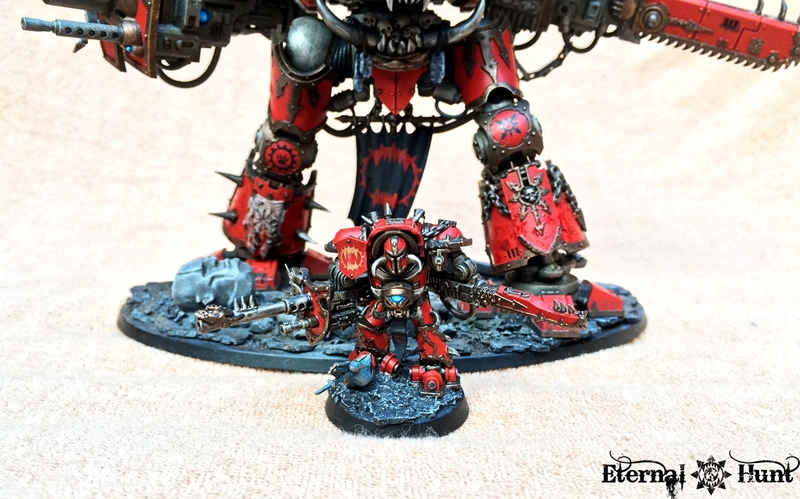 One thing you can see in the picture is how the ratio between the black and brown washes will slightly influence the colour of the armour: If you look closely, you’ll see that Molax is slightly more brownish than the other two. This is because I used slightly more brown wash when mixing the glaze for his armour. 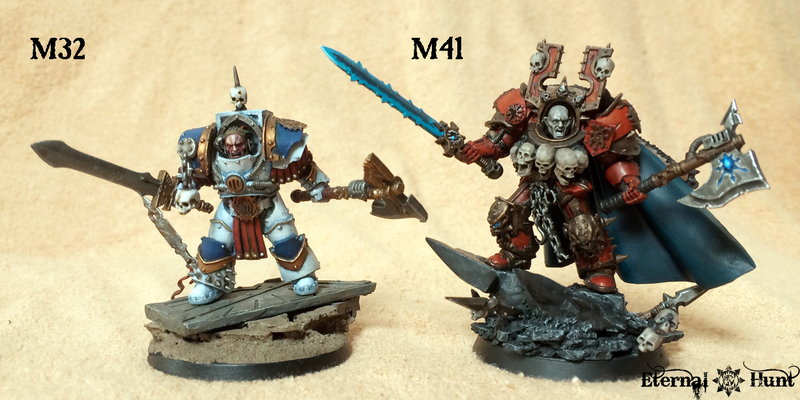 The other two models use less brown and more black, leading to a somewhat colder look. Another thing that’s evident in the picture is how the models are quite a bit less uniform than the stock Betrayal of Calth tactical Marines. 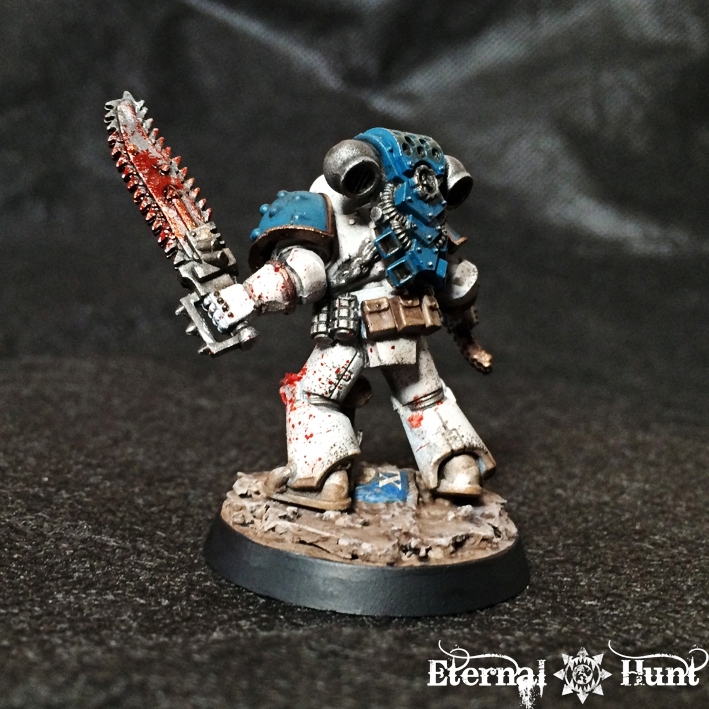 I really wanted my World Eaters to have a slightly more ragtag appearance, as this just seems appropriate for the legion. As I keep adding new models, I think some of them will look quite different, with the spectrum ranging from fairly standard Mk IV Marines to guys in far less standardised gear, yet I hope to include some visual touches that pull it all together, creating a feeling of visual coherency while also allowing for quite a bit of variation at the same time. 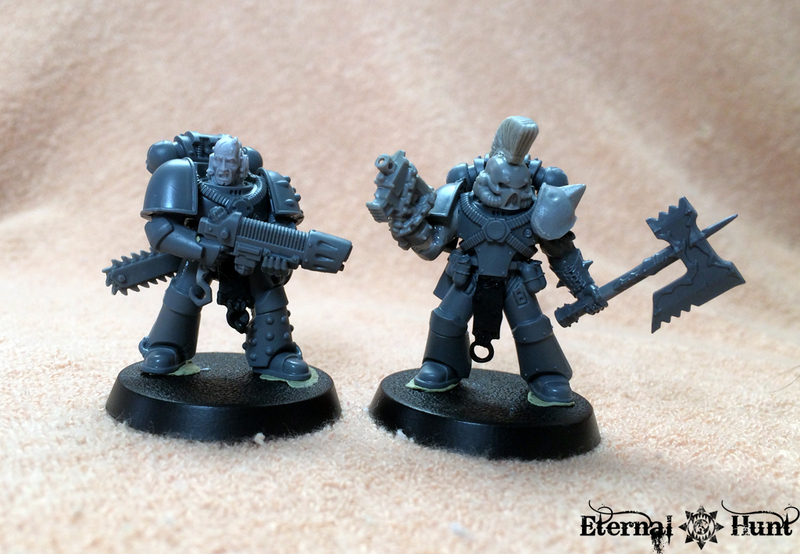 The model on the right further explores the Triarii archetype, while the guy on the left is a pretty standard plasma gunner. Like I said, these may seem rather different when compared like this, but I do think they’ll work together rather nicely in the finished squad. 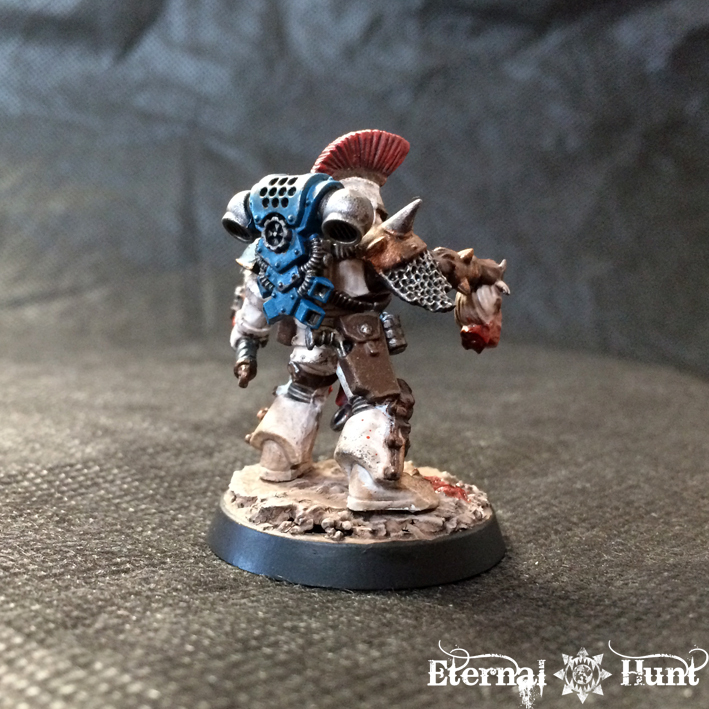 And there’s always the option of spinning off the Triarii into their own squad somewhere along the way, of course. 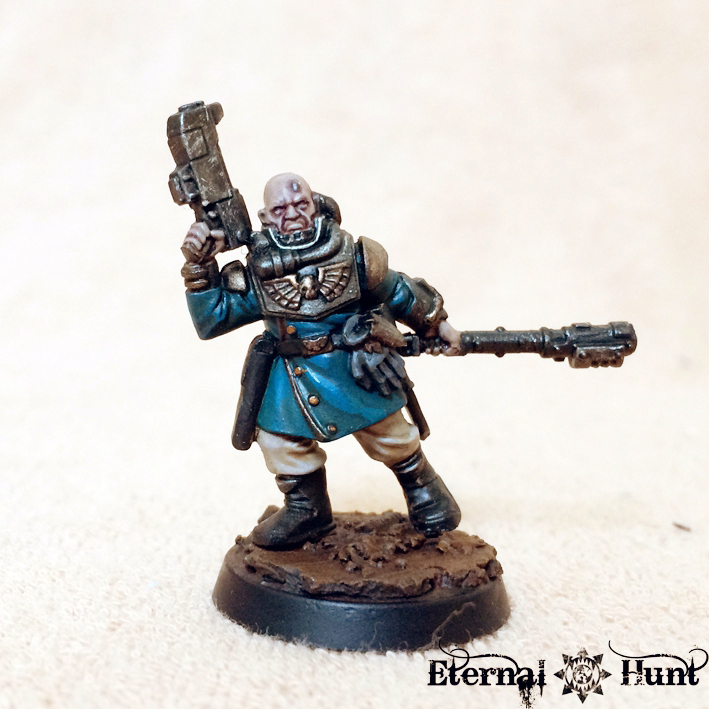 In this particular case, the main challenge was to make the guy with the plasma gun look suitably massive and menacing and not like “that boring model with the gun”. 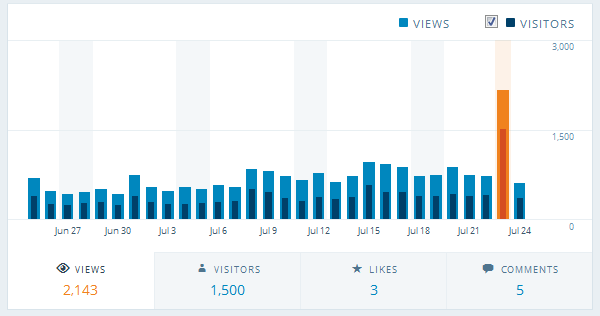 I think I was fairly successful with that, though. 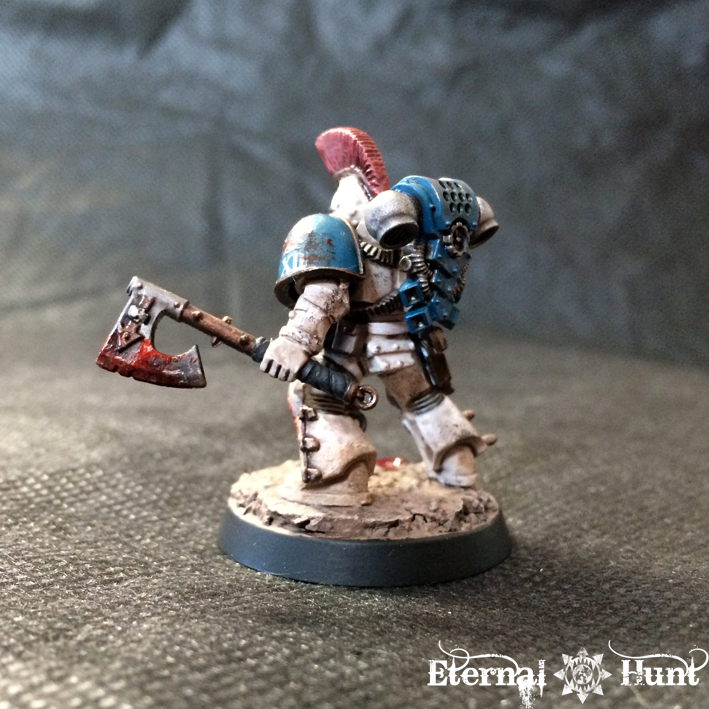 The model was originally built as an officer for my 40k World Eaters, but it seems as though he might make an even better officer for my small 30k project, even if he’s a bit more openly Khornate than the other guys so far — personally, I think that all bets were really off for the World Eaters after Armatura and Nuceria, so I imagine some Khornate elements will have begun to sneak into the legion by then — after all, they were definitely present shortly after the Heresy, according to Khârn: Eater of Worlds. I would love to hear any feedback you might have! And as always, thanks for looking and stay tuned for more! 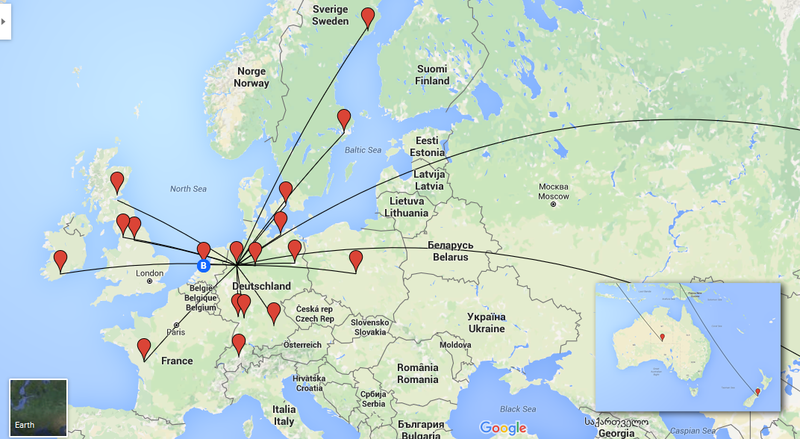 It has been …quite a year for hobbyists, no question about that. For today’s first parts of my annual recap, let’s take a look at GW’s releases this last year, as they have been even more crazy than the 2014 lineup. 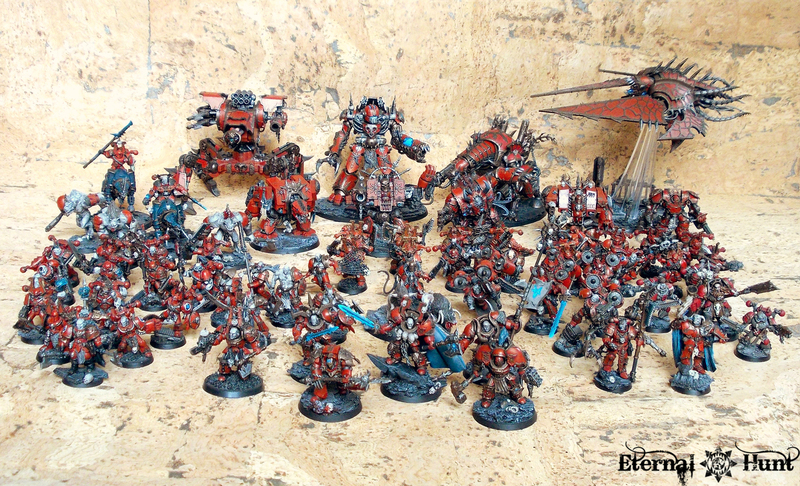 To wit: 2015, the year when we finally got AdMech as a playable army. When GW blew up Warhammer Fantasy Battles and reshaped its broken bones into a new setting. When the first plastic Horus Heresy models were released. When the return of the Specialist Games was announced. 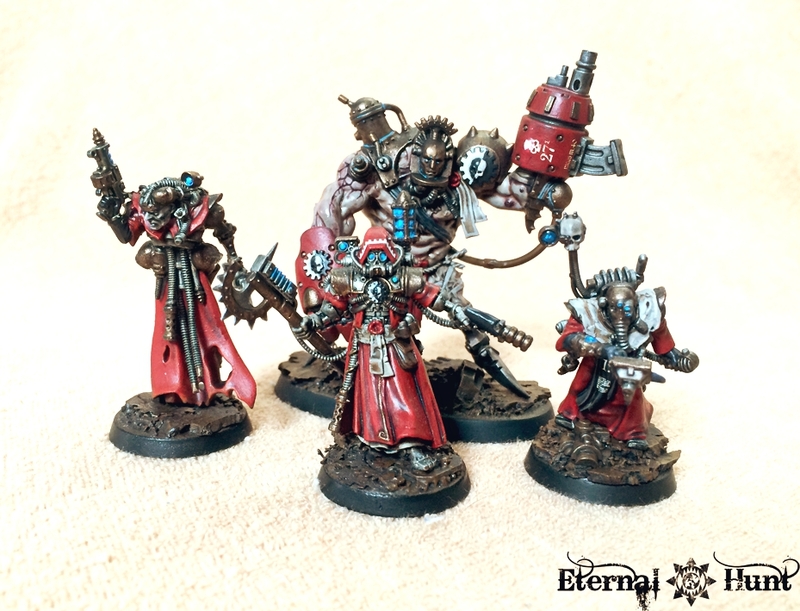 The importance of finally delivering the Adeptus Mechanicus as a playable 40k faction – and all on glorious plastic, no less – simply cannot be overstated. 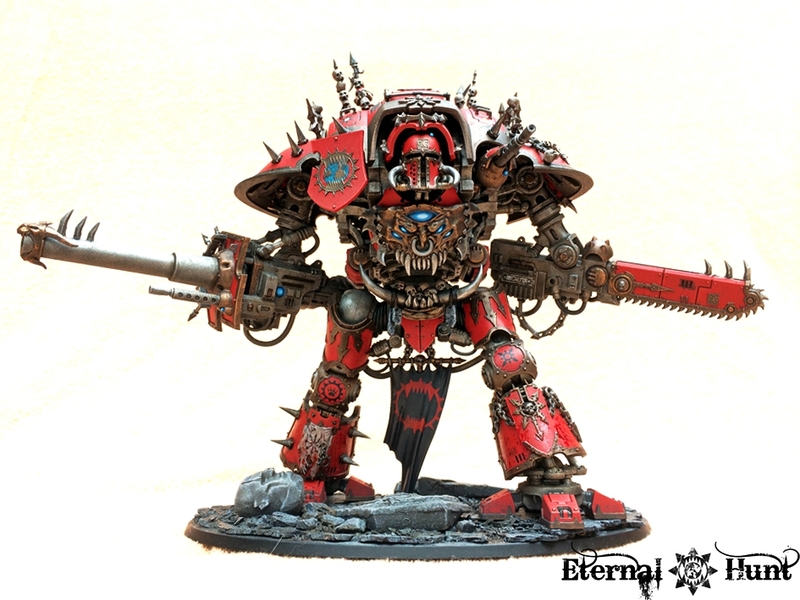 The Adeptus Mechanicus has always been one of the most quintessential and original parts of the whole 40k background. 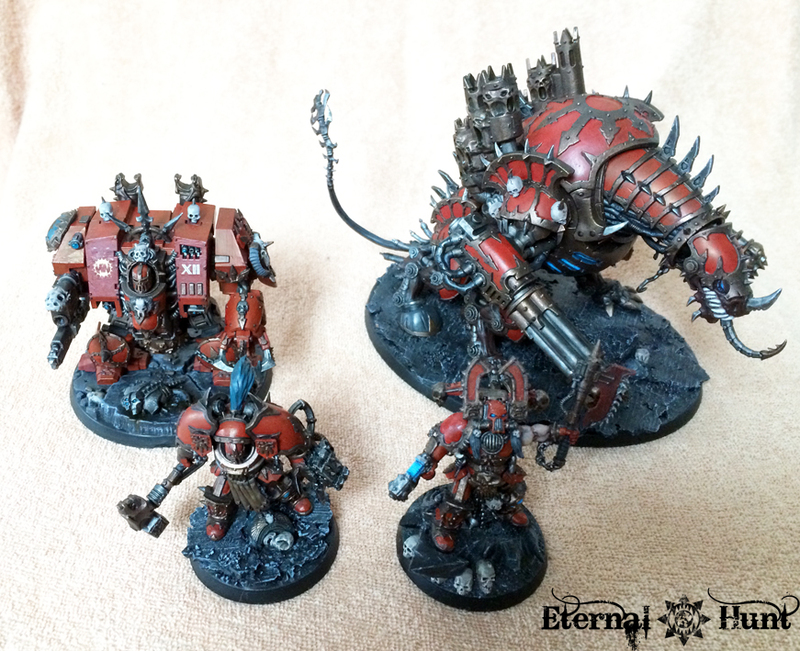 So hobbyists have wanted more AdMech for years — and now we finally get our wish, and it’s glorious! 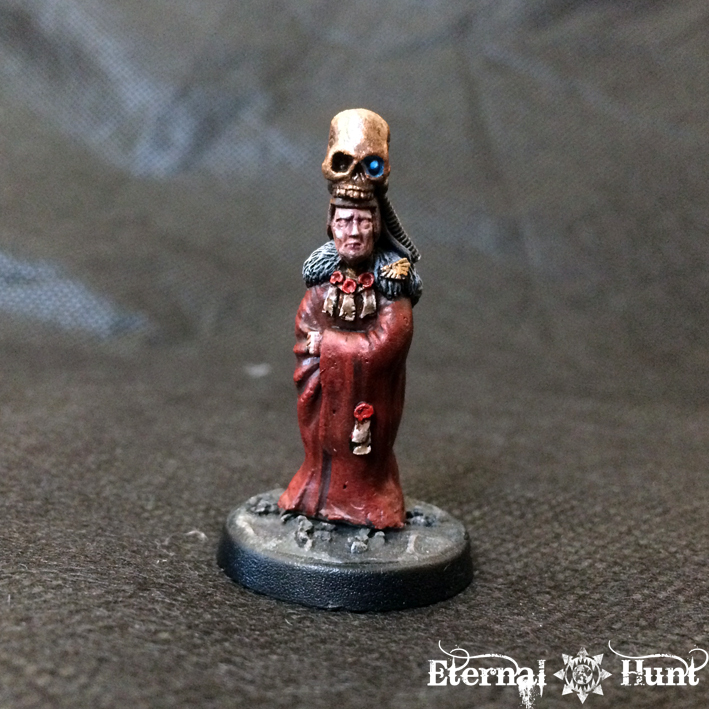 And the list really goes on and on: We got actual models based on the electro priest background that hadn’t been seen since the 2nd edition Codex Imperialis. And some robots whose retro-futuristic design à la Fallout is something really new for 40k (which is why they weren’t universally liked, I imagine). 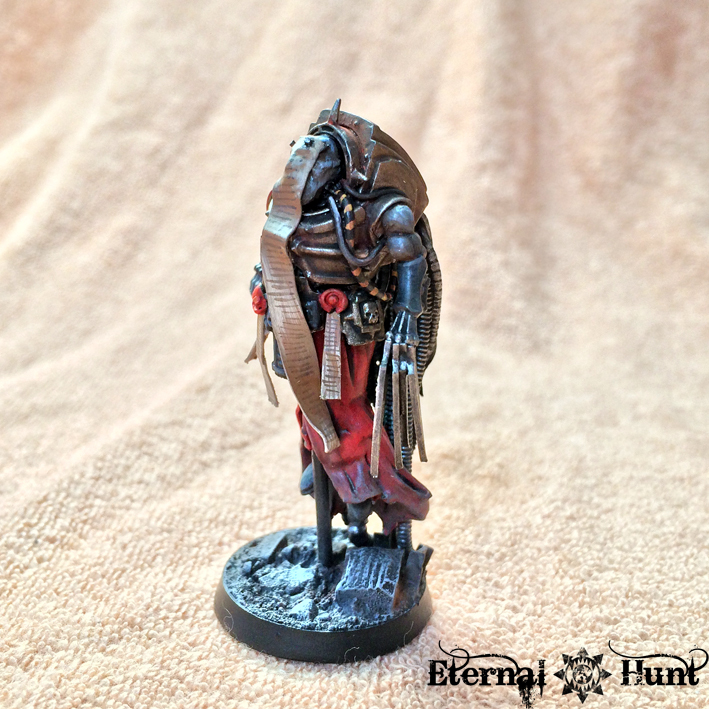 And the kits I have worked with so far are beautifully engineered and look stunning when painted up, regardless of whether or not you are an ‘Eavy Metal painter! 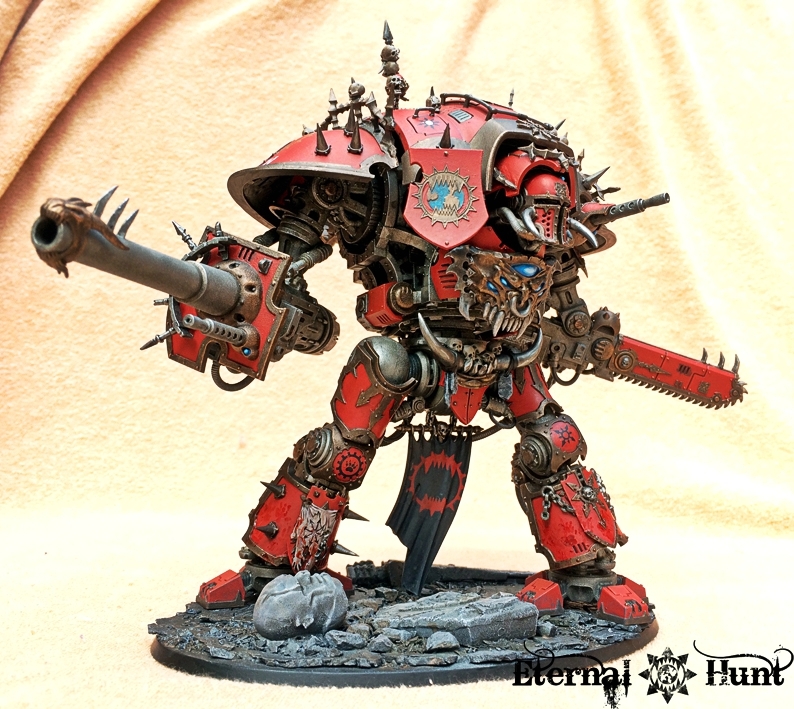 The result is a brilliant collection of models that is, arguably, even better than Forgeworld’s Mechanicus models: In short, when it comes to both fanservice and visual design, there is nothing that can quite compare to the Adeptus Mechanicus models. Sure, splitting the release into two sub-factions seems like a slightly dubious move in hindsight, but I’ll let it slide. A triumph, all in all! 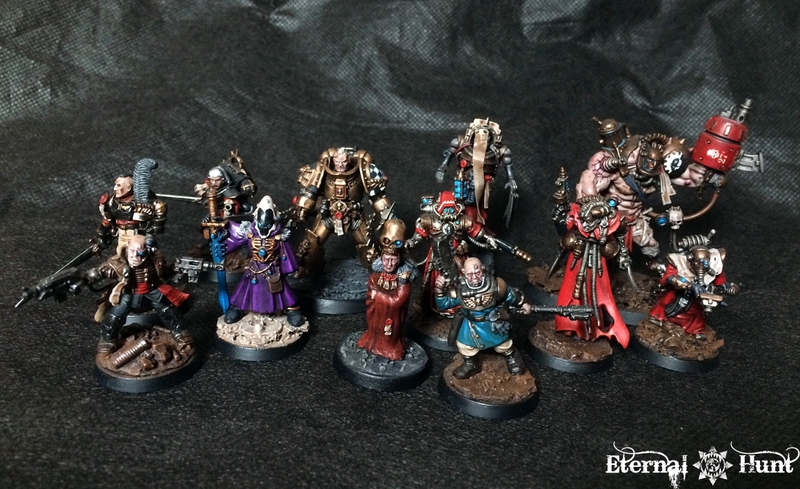 In case you’re interested, feel free to take a closer look at my original reviews for the Skitarii and Cult Mechanicus releases. Oh boy, where to start. Giving us plastic AdMech was already a pretty big act of fanservice, but finally releasing plastic Horus Heresy models? Who would have expected something like that only twelve months ago? 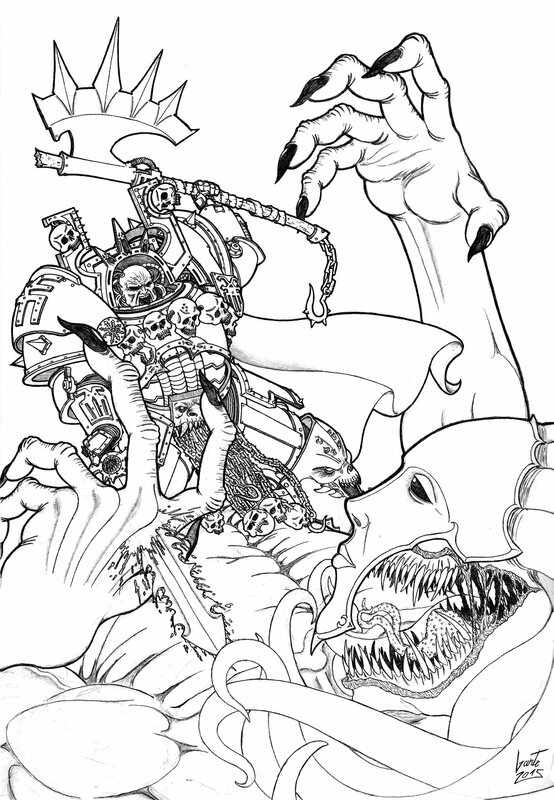 I suppose it only made sense, though: The Horus Heresy has become a rather massive commercial juggernaut for GW, it seems, so it was only a question of time before some “gateway drug” for people interested in getting started with gaming in the Heresy era became inevitable. 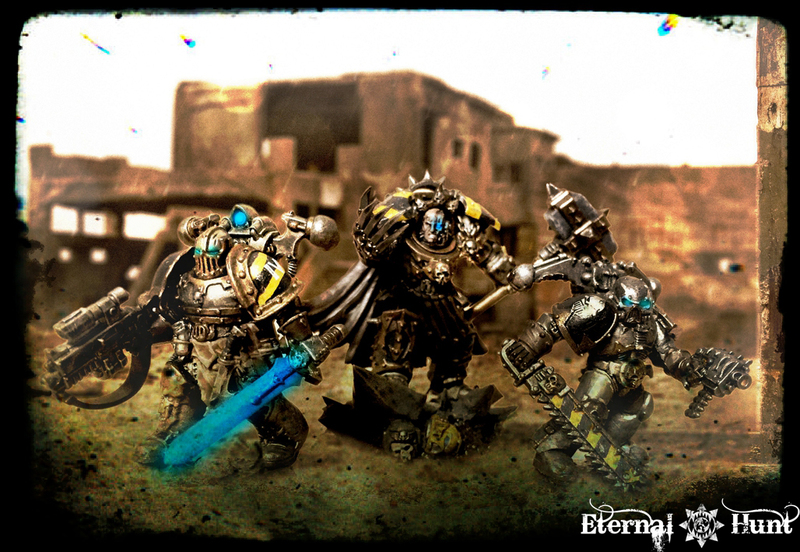 But what a gateway drug it is: With three complete and newly designed MK IV tactical squads, a squad of multipart Cataphractii, a freaking plastic Contemptor and two special characters, the box delivers a lot of bang for the buck — and it even includes an actual game to be played with the models, let’s not forget that! 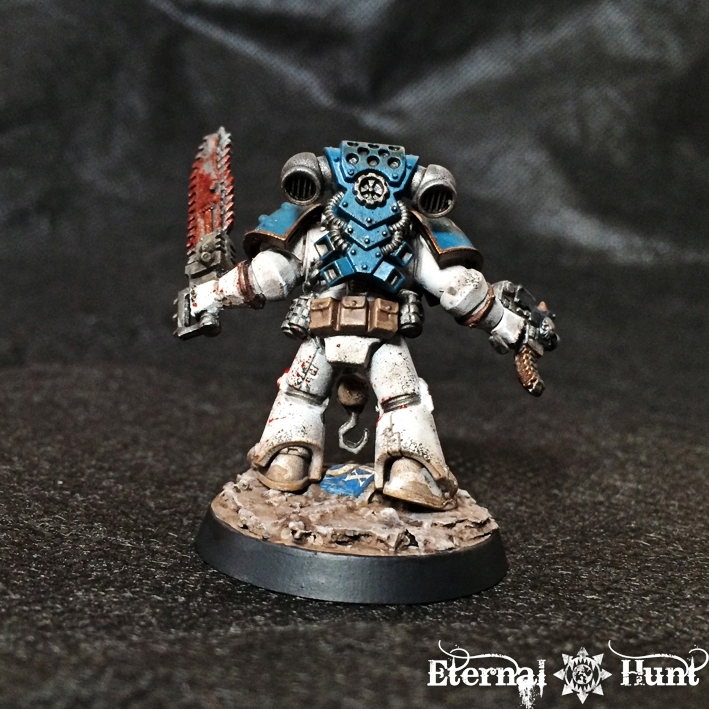 It’s also pretty brilliant how the models included in the box will flawlessly work for both 30k and 40k: Whether you want to dip your feet into the Horus Heresy or are merely looking to spice up your 40k Space Marine army, you’ll walk away happy. Are the models a little too generic, maybe? Does the Contemptor suffer from a rather pidgeon-toed pose? The answer is yes on both counts. 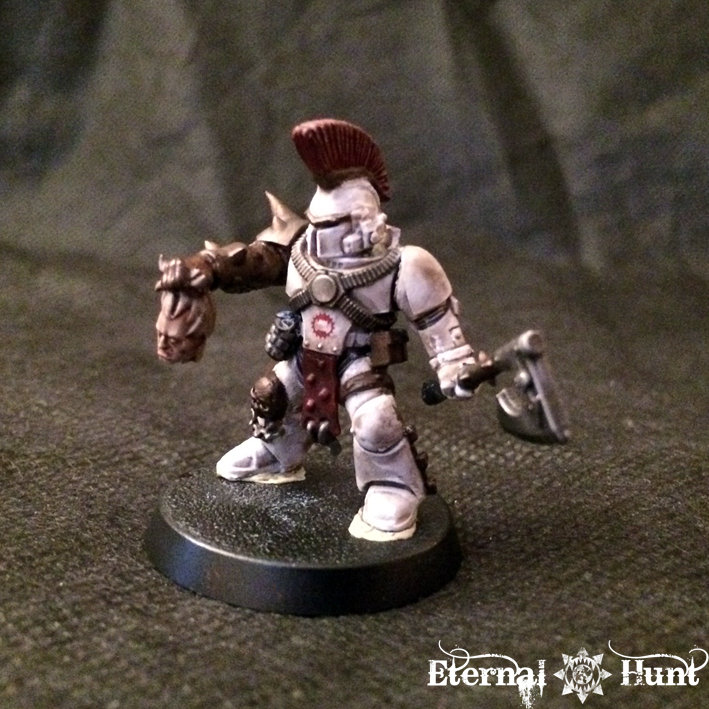 And yet, Betrayal at Calth remains a fantastic package — fantastic enough to even get me to paint some Heresy era models, and in white to boot. Beyond the quality of the actual box contents, it’ll also interesting to see how this all plays out: Will there me more Horus Heresy stuff in plastic? 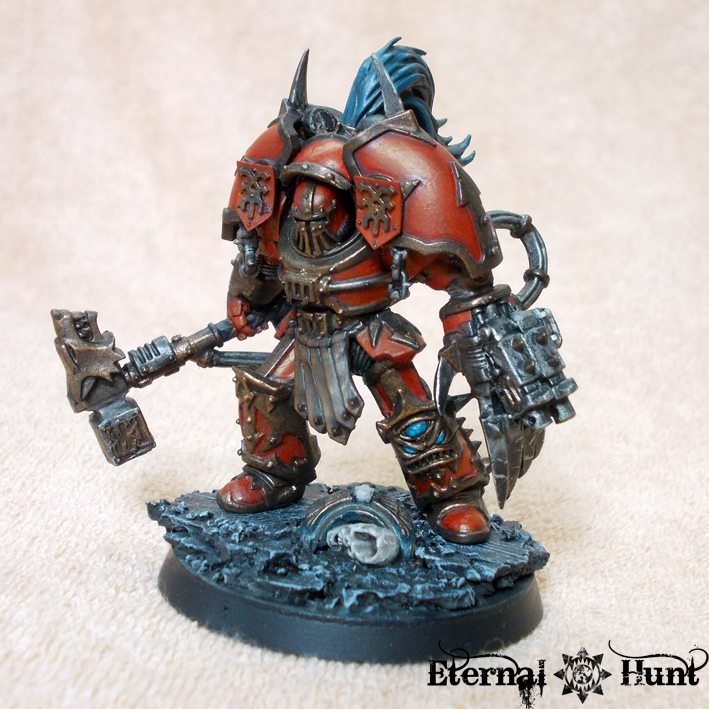 Will the setting thus become more approachable for people like me who are not that fond of resin as a material (or have no more kidneys left to sell in order to pay for their Forgeworld spending). Whatever happens, this was one heck of a surprise! 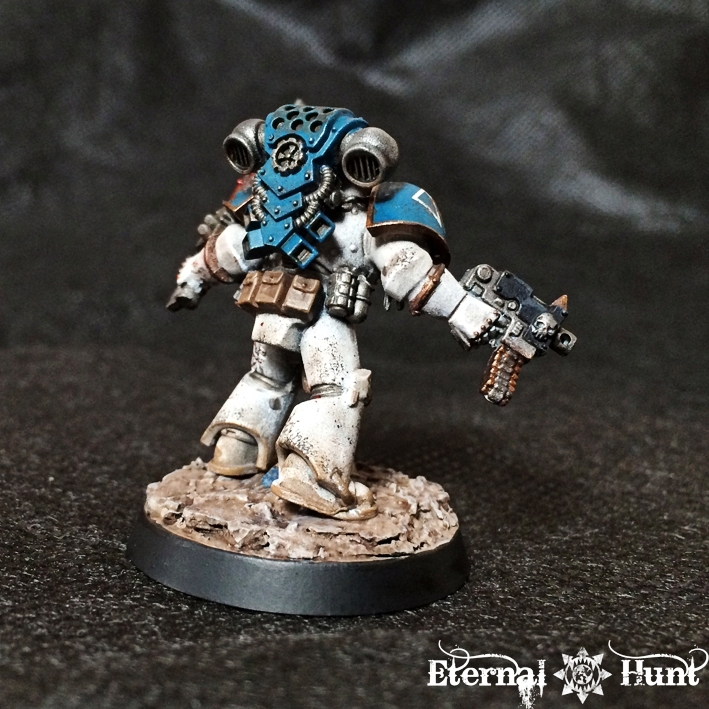 Take a look at my original review for the Betrayal at Calth models here. If you can say one thing about GW, is that they really know how to put together rather fantastic starter boxes. Which is why the Age of Sigmar boxed set has made it onto this list alongside Betrayal of Calth. In fact, the AoS starter almost seems like the ying to BoC’s yang: While the latter seems to have been engineered for maximum versatility, allowing you to customise the models any way you see fit, the Age of Sigmar boxed set gives you two small armies composed of highly individual mono-pose snapfit models that should make for fairly spectacular forces on the tabletop And GW really seems to excel at either way of putting together a starter box, which is certainly no mean feat. Again, there’s slightly zany stuff like the too-large standard on the Bloodsecrator or the crazily mutated Khorgorath, but the models are still excellent. 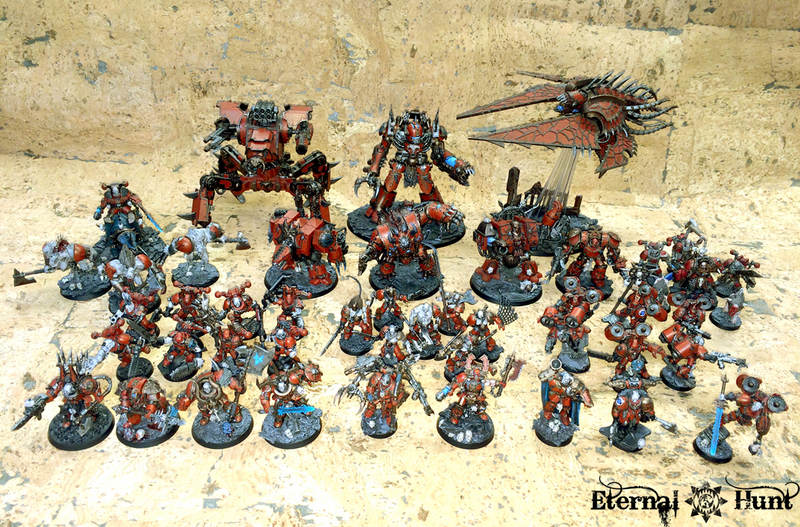 In fact, the small army almost seems like a medieval version of Dark Vengeance’s (equally great) Chaos force. 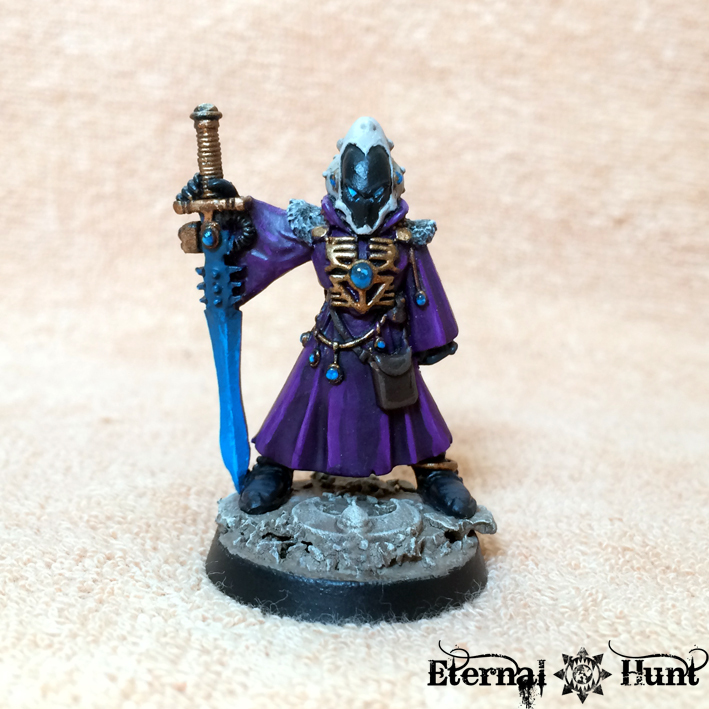 While hobbyists in general still seem divided over the overall merits of Age of Sigmar versus the dearly departed WFB, there’s no question as to the quality of the starter box: The models are fantastic and make a compelling case for the game. I was quick to pick up the box, and I am not even really planning to play Age of Sigmar. 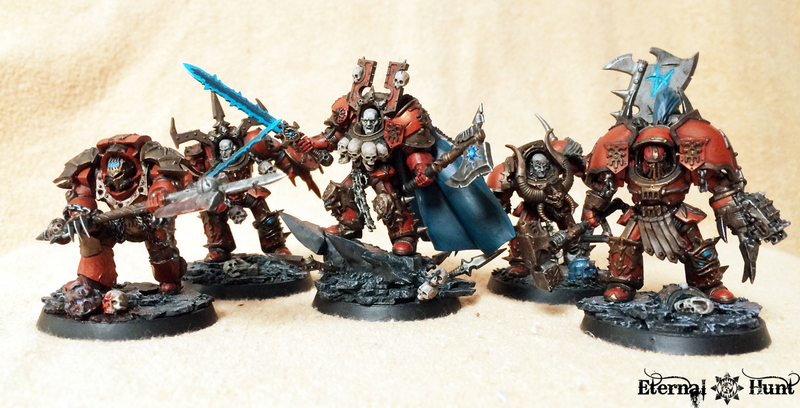 Another fantastic starter box, even if the models are not as versatile as the ones included with Betrayal of Calth. To see two boxes of this caliber released in one year is really rather stunning! Read my original thoughts on the box here. One of the most interesting parts about Mech design is when it breaks up the vaguely humanoid shape of the machine in interesting ways, and the Stormsurge manages just that, replacing regular arms with massive rocket launchers, adding support struts to the legs and incorporating a massive railgun that every Metal Gear Solid veteran will fall in love with. The resulting model instantly reads as the massive heavy fire support unit it is supposed to be in-game. 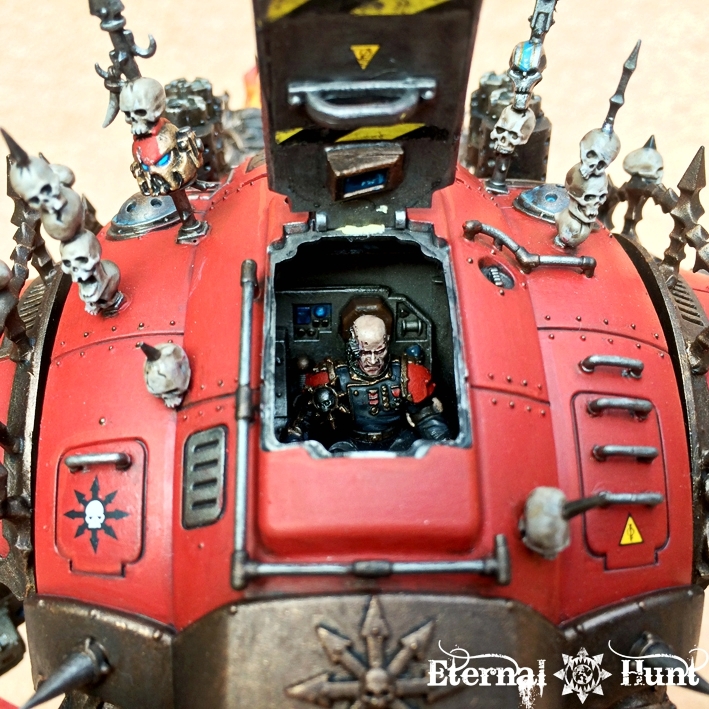 Possibly my favourite part of the model is the open cockpit, though: Cockpit design is so very important when designing cool Mecha, and after dropping the ball on the – otherwise fantastic – Imperial Knight kit, it’s great to see GW make the most of this particular element this time around. The other massive model to come out of this release is possibly even cooler, though: If you ask me, the Ghostkeel may just be the definitive Tau Mecha-suit right now: The model incorporates many, many established Tau design elementes, while combining them into a model that seems massive as well as elegant and flexible. It also has a rather interesting head, for once, something that most of the Tau robotic suits so far have sadly lacked. After fumbling the challenge a bit for so long, it seems like the new Tau battlesuits now finally channel everything that’s great about Animé Mecha design, resulting in two models that actually make it hard to resist starting a Tau army — easily some of the best models of 2015, if you ask me! The old metal Bloodthirster is one of the outstanding models of my youth: I remember marveling at the model in my very first copy of WD. But in all honesty, the model really hasn’t aged all that gracefully, and a replacement was long overdue. The new Bloodthirster solves this task wonderfully, and I really hadn’t expected that: After waiting so long for new Greater Daemon models, I was convinced any new version of the classic daempns could only end up as a bit of a disappointment — especially given the competition in the form of models like Creature Caster’s spectacular Warrior Demon, for instance. Awww! Brilliant stuff! In fact, I already have one of these guys completely built and will hopefully paint the model sooner rather than later. 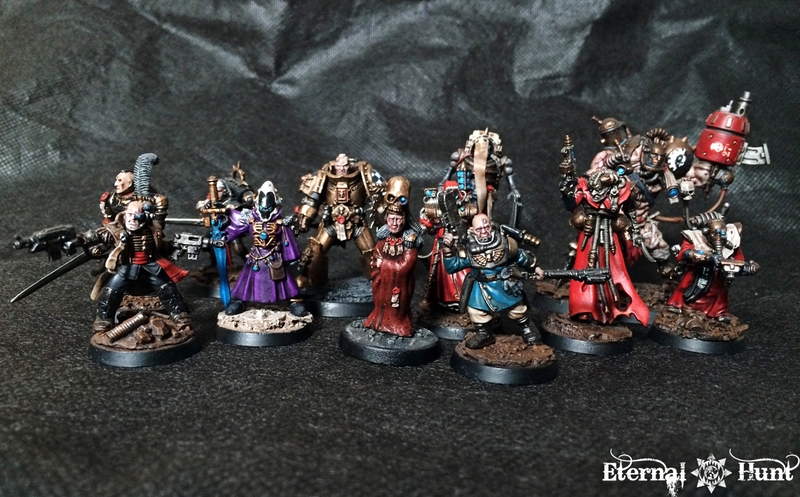 Wait, didn’t I just choose the Age of Sigmar starter box as one of my favourite releases of 2015? And now this? What gives? I stand by my earlier assessment that the Stormcast Eternal models from the starter box are very cool and make for a pretty good showcase for the faction. At the same time, I would have expected something a bit more interesting from the subsequent full release of the faction. 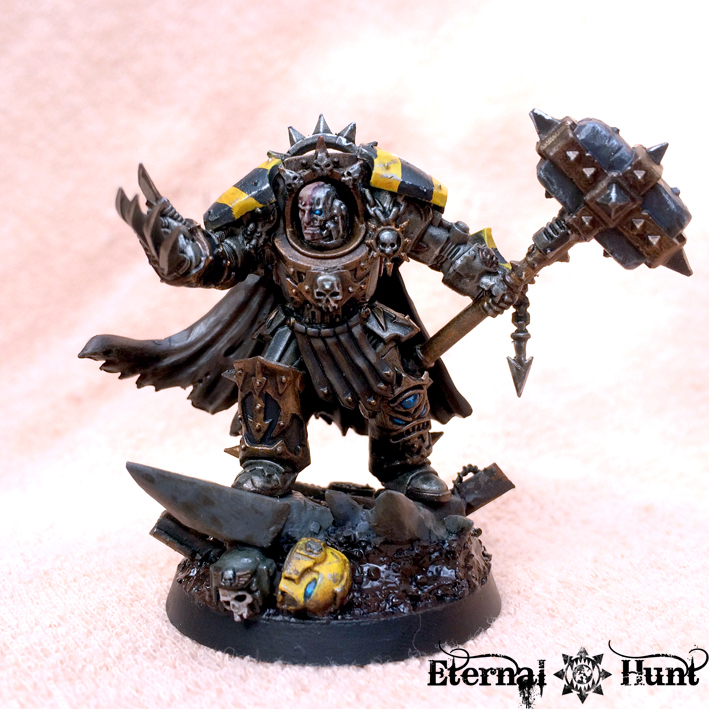 It’s very obvious that the Stormcast Eternals are an attempt at creating an iconic army on par with the Space Marines of 40k, as there are just so many parallels between the two factions. 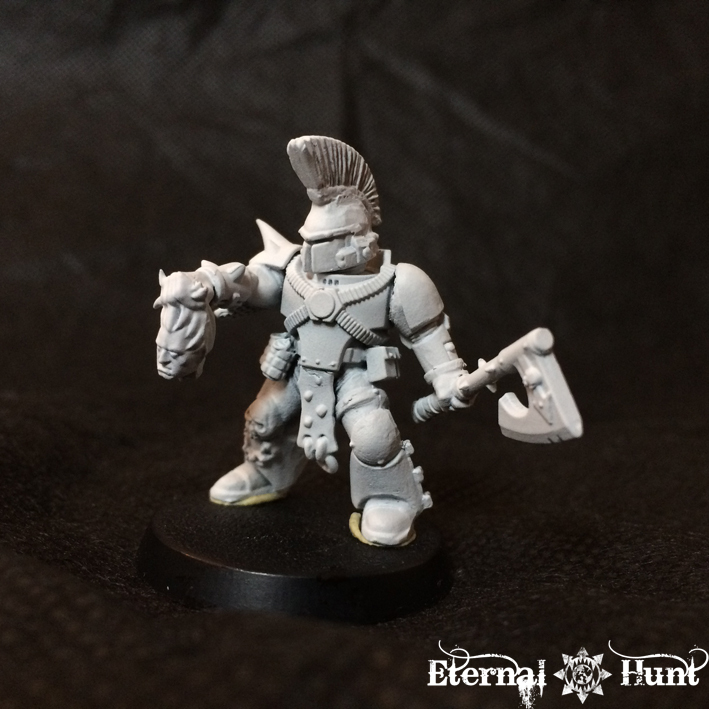 Incidentally, the Stormcast Eternals are actually very close in size to the “true-scale” Marines so many hobbyists have been clamouring for. So what’s the problem? 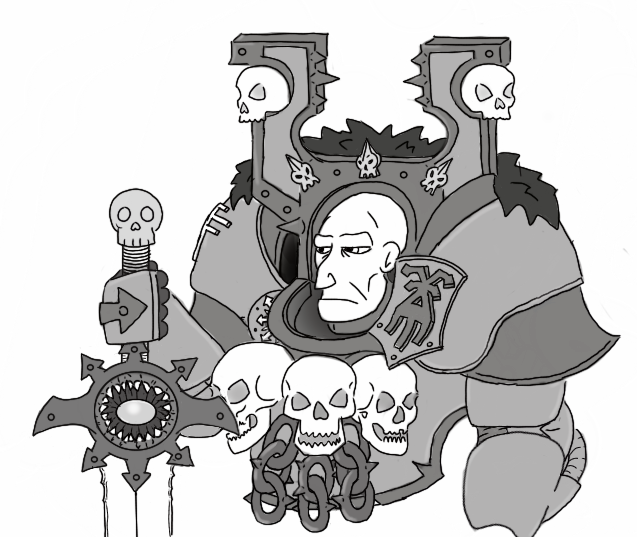 Maybe it’s the fact that the new models lack the Space Marines 30 years’ worth of background: We are told they are amazing warriors capable of unbelievable feats, but we haven’t really seen all that much of them yet, and the AoS lore so far doesn’t really get the job done. 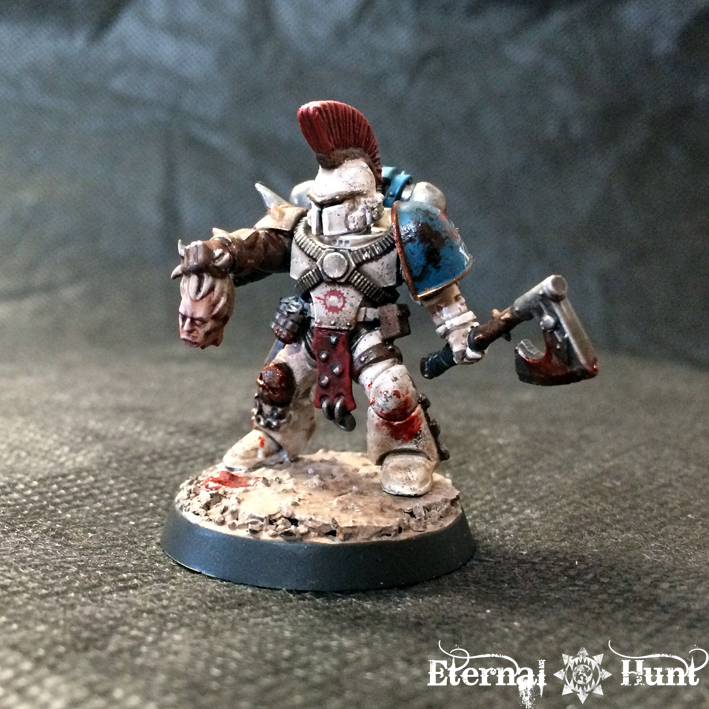 In a way, the Stormcast Eternals make me understand for the first time what a Space Marine release must look like for someone not actually interested in Space Marines: Just the same bunch of dudes in heavy armour. Over and over and over. At the same time, while the models are meticulously designed and crafted, the army does seem a bit samey. Maybe a more human element would have provided a bit of contrast? Or maybe the Stormcast Eternals will finally grow into their own, once the game and its world get developed a bit more? Maybe I’m just disgruntled because there are no more quasi-renaissance soldiers wearing floppy hats and pantaloons? 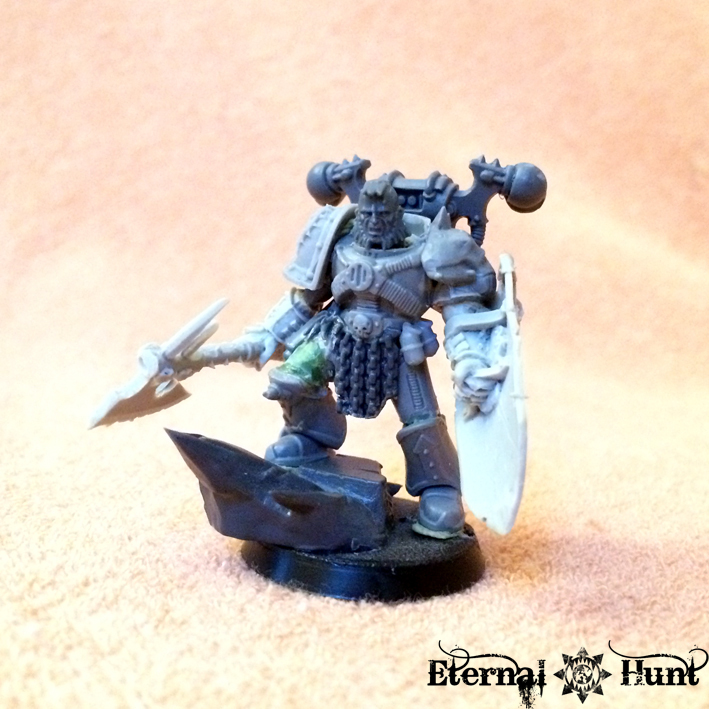 For now, I’ll say this much: The Stormcast Eternals from the starter box seemed like an interesting first taste. 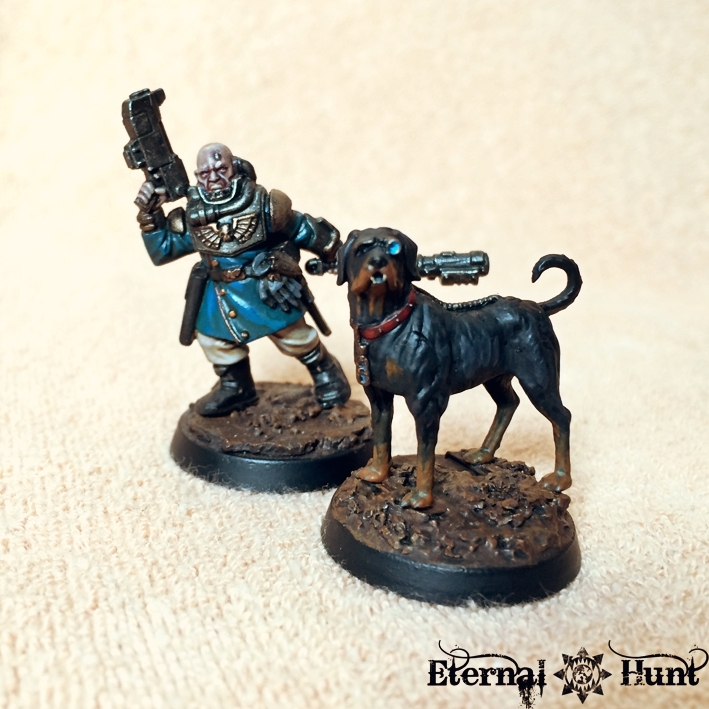 The rest of the release so far has not yet managed to live up to the hype generated by GW’s marketing for these guys. We will see what the future holds. 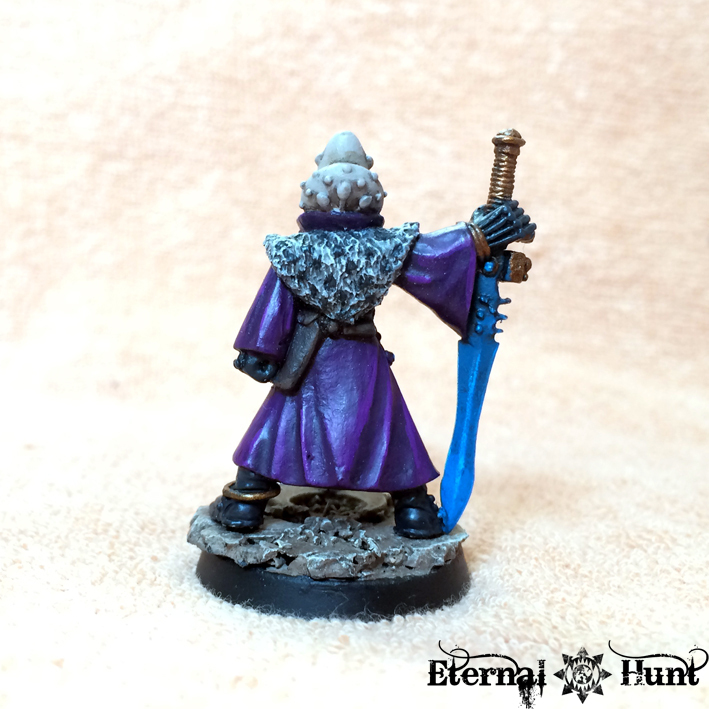 Until then, I have to say that I found the Stormcast Eternals release slightly underwhelming, especially for something that is supposed to be the iconic new fantasy army. While we are on the subject of big armoured dudes, the 2015 Space Marines release didn’t exactly blow me away either — not a bad release per se, certainly, but still a bit lacklustre, wouldn’t you agree? Giving their posterboys an update has always been a rather big occasion for GW, yet almost every part of the release had already been done better by another, earlier kit: The Vanguard kit lets you create more interesting assault Marines than the actual new assault Marine kit, the BA Terminator Chaplain is quite a bit cooler than the awkward looking vanilla one, and the updated Devastators, while definitely a highly useful kit, nevertheless suffer from a couple of strange design decisions (those really awkward helmets, for instance, and the ugly grav weaponry). 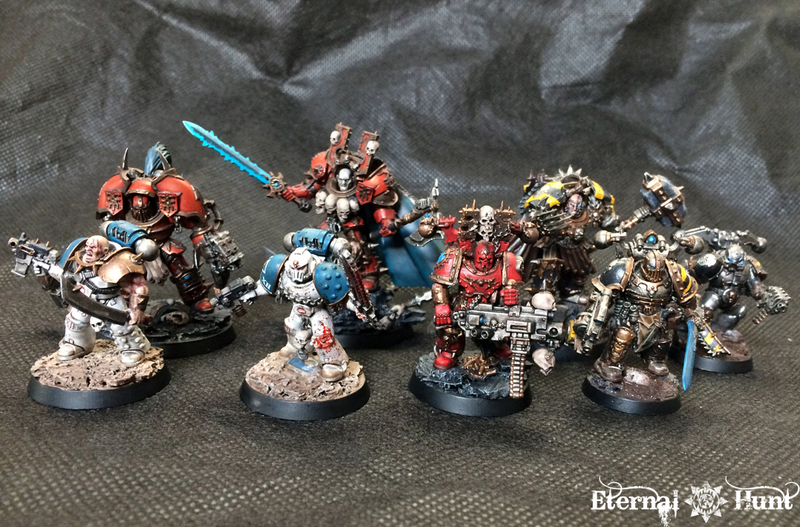 Of course we didn’t know back then that the “real” 2015 Space Marine release would arrive later in the year — in the form of Betrayal at Calth 😉 So maybe that explains why these guys ended up less than spectacular…? As of the spring of 2014, all of GW’s publications use the English names – and only the English names – for any given unit type or character in all of their game systems. (…) Unfortunately, this creates Codices and publications with lots and lots of gibberish, where plain text is suddenly and rather violently broken apart by seemingly wanton insertion of English terms, even when a perfectly serviceable and well established translation for these terms exists in-universe. Suffice to say that this already deplorable condition has really been turned up to eleven this last year, which makes the German translations of GW publications almost unbearable to read at this point. The fact that so many of the Age of Sigmar names are pretty overwrought doesn’t help, but it also extends to stuff that has been well established before (and appeared in BL novels, for crying out loud), with words suddenly getting English plurals in the German text. Once again, I realise that it probably all makes sense from a business perspective, but the effect is so jarring and ruins the quality of the writing so thoroughly that it’s almost offensive, especially when GW’s German translations used to make for pretty decent reading. 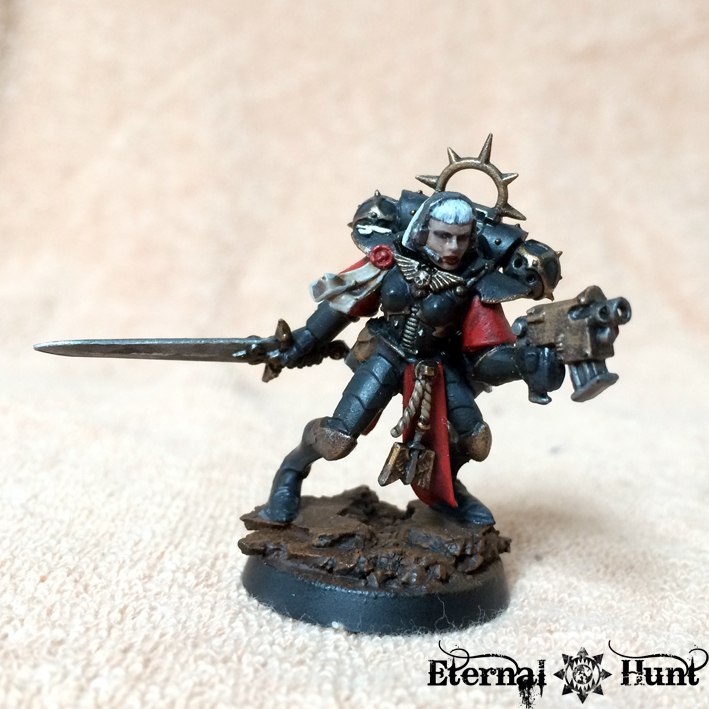 Plastic Sisters of Battle…pretty please?! 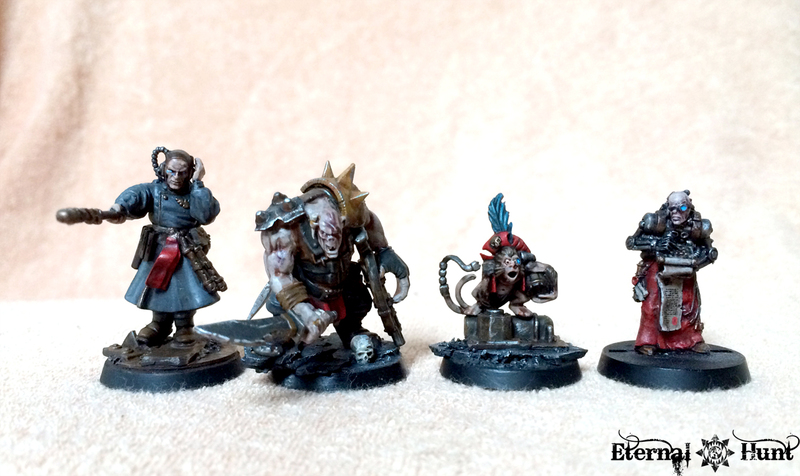 For the fourth year in a row, I’ve been pining for some redesigned plastic Sisters of Battle. Sure, one learns to make do, but it’s not the same as finally having access to some sweet new kits. 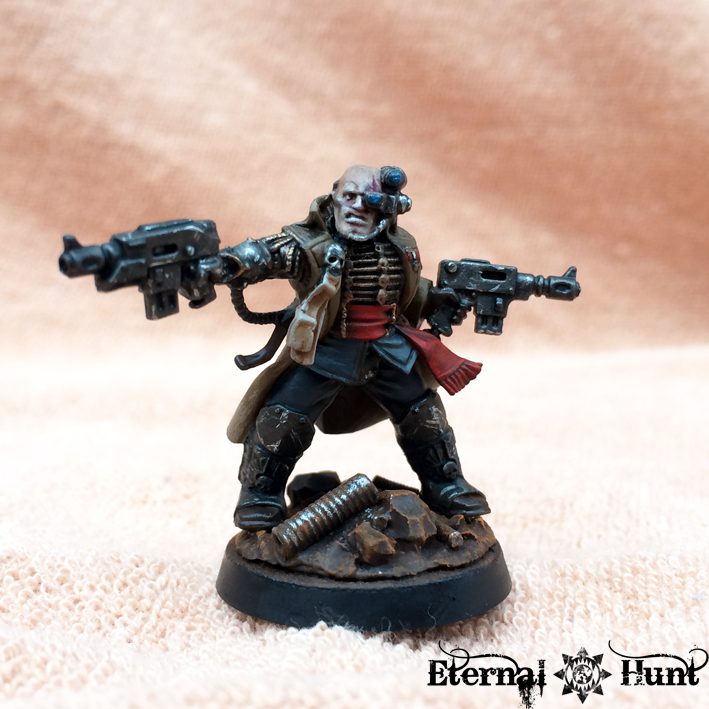 Still, there may be hope: I mean, if we can finally get plastic AdMech with its slender, delicate and highly detailed Skitarii models, certainly new plastic Sisters must now be feasible, right? RIGHT??? Specialist Games making a return! I mean, seriously, what’s not to love. Bring. It. On. the GW painting videos on YouTube: GW’s traditional painting articles never did all that much for me, because they always seemed strangely vague or even arguably dishonest when it counted: Up to step number three, everything was peaches and cream, but step number four would invariably feature pictures of a model almost at full ‘Eavy Metal standard while the accompanying text would always assure us that only something very minor had been done between steps three and four. 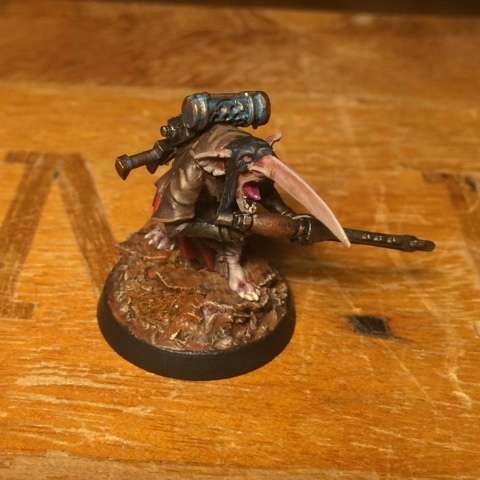 Well, no more, because GW now has a pretty excellent series of YouTube videos to help painters get started on particular models and effects, and while I was initially skeptical, the videos are really great! It helps of course that Duncan Rhodes just seems like the nicest guy in the world, which makes it a joy to follow his tutorials, but seriously: This is quality content, and it comes for free, and especially since GW so often gets portrayed as this ultra-evil and greedy company, they do deserve to be commended for providing a very nice bit of service like that! 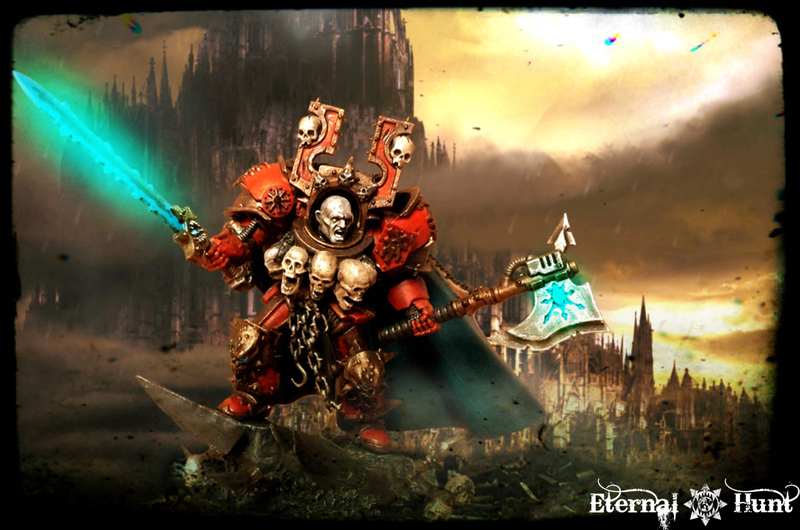 Another very exciting year for hobbyists, and a relentless barrage of – mostly very good – releases from GW. 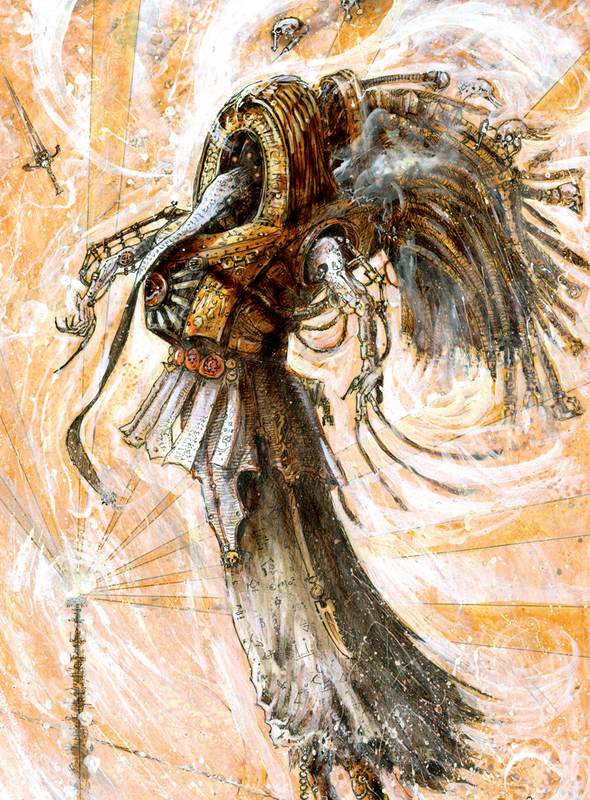 Once again, it’ll be interesting to see where we go from here, although two things have become clear in 2015: GW is willing to both make a bold move (like the destruction of the Old World and the introduction of Age of Sigmar) and give hobbyists stuff they’ve been wanting for a long time (AdMech and plastic Horus Heresy) — and if nothing else, that certainly seems like a promising starting point for 2016, right? 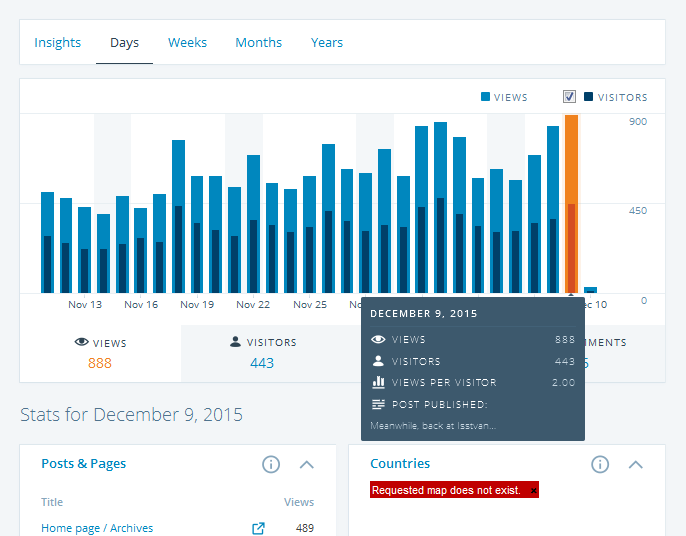 So much for the industry, but what about the hobbyists? 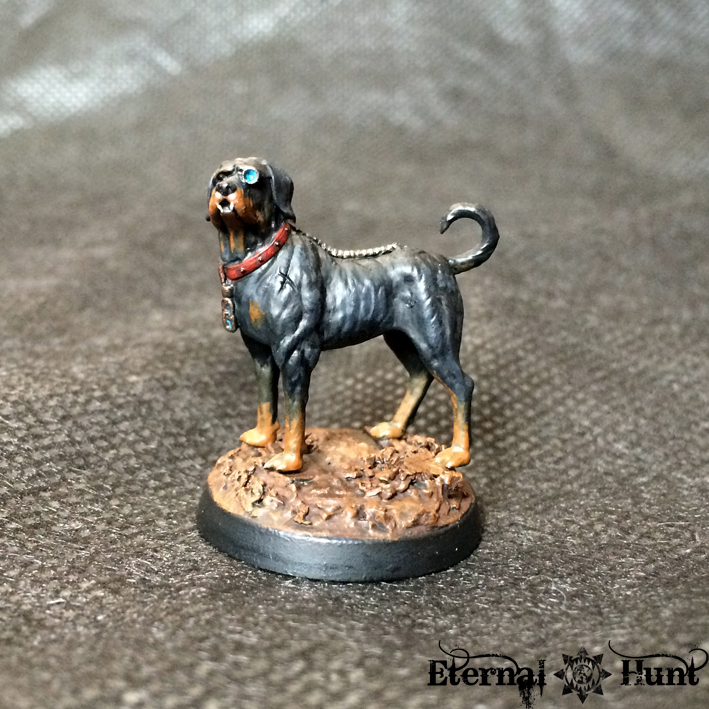 Join me next time for the second part of the 2015 Eternal Hunt Awards and a closer look at my favourite blogs, conversions and hobbyists of the year. Until then, I would love to hear your feedback: Any thoughts about my favourite releases that you would like to share? Any observations of your own? I’d be happy to hear from you in the comments section! And, of course, thanks for looking and stay tuned for more!